The secret’s already out: there are plenty of great places to drink in Barcelona. I’ve hit up bars that have been entirely made of ice, bars with hundreds of different shots, rooftop bars, rock and roll bars, kitschy bars, chic bars, dive bars, wine bars, massive warehouse bars, tiny cave-like bars – you name it, Barcelona has it when it comes to bars. But some bars are more cultural than others. 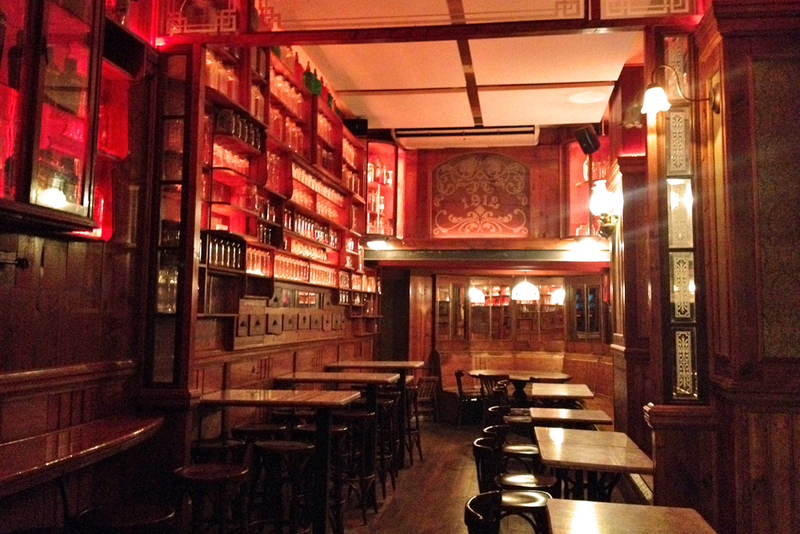 There are a few truly historic bars in Barcelona that are real gems from days gone by. They’ve clocked in over a hundred years of serving drinks to a thirsty crowd. In a city where bars and restaurants can change as often as the seasons (and that’s only a slight exaggeration), these historic bars in Barcelona have managed to outlast the trendy cycles. Some attract tourists because of the famous faces that have pulled up a seat at the bars. Others are so normal looking that you’d never give them a second glance from the outside. Let’s get down to the really important stuff though. 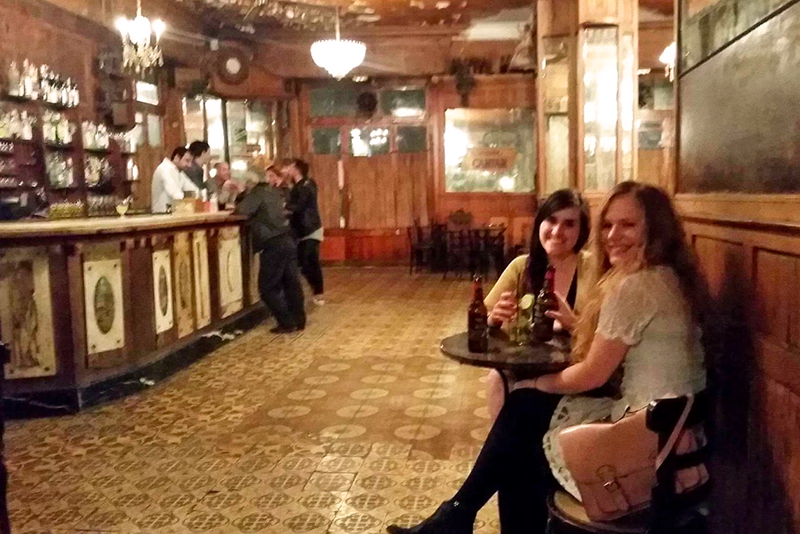 Here are five of the oldest bars in Barcelona – or, as I like to call them, spots where you can enjoy the city’s party scene and still have it count as a legitimate cultural activity! Located on one of the buzziest streets of the Raval district, Joaquin Costa, this bar is an instant journey in time back to 19th century Catalonia. The wood and marble decor has stayed almost exactly the same since the joint opened in 1860. The only major change has been the addition of a second large room at the back – and a soundtrack of excellent indie and classic rock music. Make sure to check out the beautiful modernist posters on the walls. I always wish I could take one home with me! In honor of the bar’s 150th anniversary, they brought back an old-time tradition – serving vermouth with a skewered olive. It’s typically had pre-lunch, though you can order one anytime. They also have absinthe, which I’m sure they’d serve you pre-lunchtime. But you might get some awfully disapproving glances for it! This little art deco bar full of gleaming dark wood sits right off Las Ramblas claims to be the oldest “coctelería” in Barcelona, though you’d never guess it from the modern-looking lettering outside. Inspired by his cousins’ bar in Cuba, Miquel Boadas decided to open his own cocktail bar in Barcelona. Back then, it was unlike anything people had seen, with high stools and a long American-style bar. Locals initially thought it was too unusual to have any staying power. Instead, it became a drinking hub for a curious collection of intellectuals, including Pablo Picasso, poet Joan de Sagarra, playwright Jacinto Benavente, and cartoonist Ricard Opisso. Today, they still create some of the highest-quality cocktails in the city (though they don’t come cheap). The expert bartenders still shake up their concoctions wearing old-fashioned formal uniforms. If you ask nicely, they may even mix you up a custom drink tailored to your tastes. Go on September 15th, when the bar holds a big celebration to honor Boadas’s daughter Maria Dolores’ birthday! 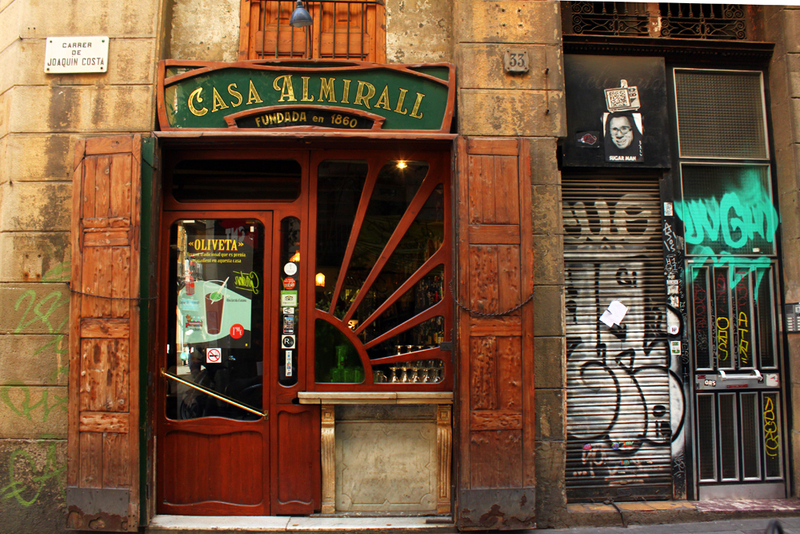 Out of all the oldest bars in Barcelona, Bar Marsella is by far the most famous. The combination of being one of Ernest Hemingway’s favorites and their signature drink being absinthe means that the secret is well and out about this bar. But that doesn’t mean it’s not worth stopping by. The atmosphere here is a bit like time has frozen over, with dusty chandeliers wrapped in delicate strands of spiderwebs and mirrors spotted with the stains of time. Order a tiny but potent glass of absinthe and soak in the atmosphere. Oh, and although Hemingway takes much of the credit for this bar in guidebooks, he’s not the only person you may have heard of who liked to drink here; Gaudí, Picasso, and Dalí are also said to have pulled up a stool to the bar at some point. A word of warning: don’t expect fancy cocktails here. You can have beer, wine, absinthe, or basic mixed drinks. Choosy drinkers beware! Another entry on the list that Hemingway, Picasso, and Dalí frequented back in the day, this bar is a curious mix of a British pub and bohemian cocktail bar. It also used to be where circus performers would go for a drink, as their agents’ offices were often on the same street. Just a few minutes’ walk away from Bar Marselle and with a similar style, Bar London also serves absinthe. But it’s also got its own vibe, with the added bonus of a pool table, a small stage for concerts, and a solid cocktail list. It’s not quite as popular on the tourist trail, either. The only downside to this bar? It’s sadly closed at the moment. The owner passed away in May and the bar hasn’t opened since. It’s not clear what’s going to happen. This charming bar used to be a confectioner’s shop and you can still see touches from its former days, from the tiny drawers used to store all sorts of sweet treats to the scale for weighing out exact measures at the register. The original modernist décor is well-preserved, and it’s worth walking by just to have a peek in the sparkling windows. It’s also a fantastic place to stop by if you’re looking for something a bit different to drink with the sounds of jazz music in the background. You can order classic cocktails and standard mixed drinks, as well as one of their special creations like the American Beauty, served in a miniature bathtub, or a whisky-based cocktail served in a jam jar as a nod to its roots. Take a look at the back of the menu; you’ll find a list of other events that happened in 1912, the year the bar opened. 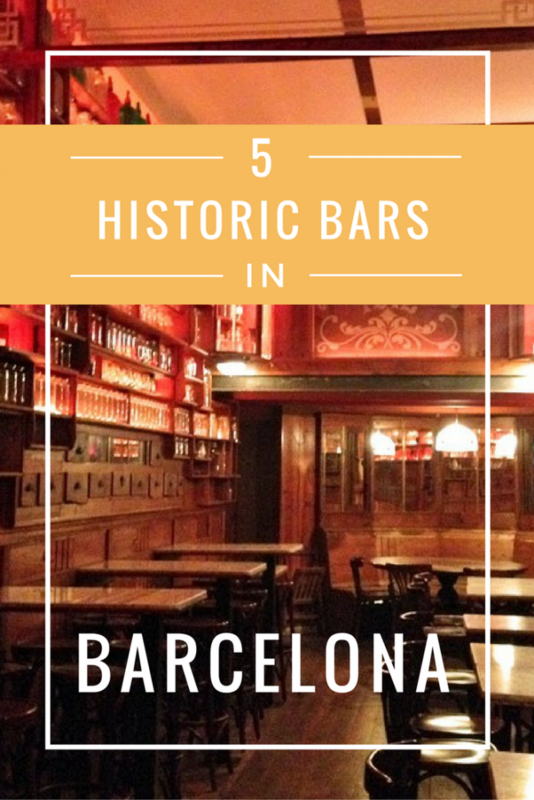 That brings me to the end of my list of historic bars in Barcelona! There are certainly plenty more old-fashioned bars to explore in the city, but these five all have a little something special. You won’t find anything else quite like these spots! Which one of these bars would you most like to have a drink at? Let me know in the comments! Wow, each one of these bars has its own unique history and drinks. I’d most like to visit La Confiteria with it being a former confectioner’s shop, plus the American Beauty sounds delightful! 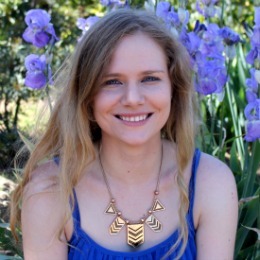 Thanks for sharing this list, I can’t wait till I can visit these places myself! Glad you enjoyed it! 🙂 La Confiteria is such a cute bar. Great reviews! Thank you for sharing your insider information these little gems. I think I am most intrigued by Bar Marsella. All of its history and origin is fascinating, and I love its simplicity. 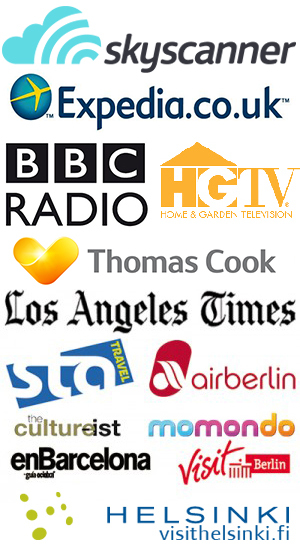 I will be in Barcelona on the 15th of September, and will be sure to explore these places. What are your thoughts on Els Quatre Gats? Els Quatre Gats is a classic too! I haven’t eaten there, but they do nice coffee. It’s definitely worth a visit just for the atmosphere.